Subject Motorsports is proud to welcome back the following promotional partners for the 2017 racing season!! We specialize in the application of heat and air. We can help you select the right tool for your job, design & build a custom system for your line, or anything in between. Whether you're laying flooring, installing a new roof, building a fabric structure, fabricating plastic tanks, or need to solve a problem on your manufacturing line we're here to help. Full Tune Ups, Alignments & all types of mechanical work, to suit your needs, done by professional mechanics. When it comes to service & qua lity no one comes close! Gabo Solutions offers IT support to both large and small companies in the Oakville, Burlington, Hamilton area. Subject Motorsports is proud to work with the following supplier partners!! Braidan Motorsport is a family owned and operated business based in Markham, Ontario. We have been serving the following areas since 2006: Markham, Toronto, Thornhill, Richmond Hill, Scarborough, Stouffville, New Market, and Aurora. Braidan Wheel Tire is known for being different than the competition and better than the competition. Braidan Motorsport carries 14 different name brand tires including BFGoodrich®, Bridgestone, Continental, Dunlop, Falken, Firestone, General, Goodyear, Hankook, MICHELIN®, Pirelli, Toyo, Uniroyal®, and Yokohama. In addition, Braidan Wheel &amp; Tire provides quality services such as computer spin balance, laser harmonic and geometric balancing, flat repairs, rotations, and low profile tire installations. Braidan Motorsport prides itself on our excellent service - come see us today! EmbroidMe Burlington is independently owned and operated, but is also part of a successful global company. Our local expertise allows us to meet your needs with the kind of attention and care that only comes from a hometown business owner. Plus, our services are backed by the strength of a worldwide organization with a proven record for success for more than a decade. With hundreds of stores around the globe, EmbroidMe strives to maintain the highest level of quality products, services, and people. EmbroidMe is the leading franchise of its type in the world today, and has been recognized by the industry magazine Entrepreneur as a Top 500 franchise for several years. You can count on local expertise and attention, backed by a strong commitment to quality from an industry leader. As the world’s largest embroidery franchise, we can capitalize on mass purchasing power to offer you competitively low prices, high quality, and personal attention. Fairchild Race Tires - As the Canadian importer/wholesaler of Goodyear Race tires, we strive to offer fair tire and shipping prices to Dealers across Canada. Goodyear Race Tires history of excellence in performance and cutting-edge tire engineering speaks for itself. We believe in this quality product, and strive to make it accessible to the Canadian racing consumer. Although foreign exchange and shipping rates can be expensive and in constant fluctuation, we are committed to offering the best prices possible to our customers. JEGS - The Most Trusted Name in Automotive Performance - Why do millions depend on JEGS for their high performance car parts? It is simple-from the iconic mail order catalog to a fully-stocked digital commerce experience, we have built a preferred destination for every gear-head, professional racer, weekend warrior and restoration nut who wants to take their vehicle to the next level. For over 32 years, Leaf Racewear & Safety Equipment Inc. has been Manufacturing and Distributing high quality fire resistant driver suits, undergarments, gloves, shoes, sublimated team shirts and seat belt harness systems worldwide. Our Race Suits and accessories have been designed to meet and exceed current SFI 3.2A/1, 3.2A/5, 16.1 specifications and requirements for virtually all forms of racing. Leaf Racewear is committed to providing exceptional value through superior quality, continuous improvement, innovation and prompt, courteous and professional customer service. FUEL YOUR PASSION IN CONFIDENCE! 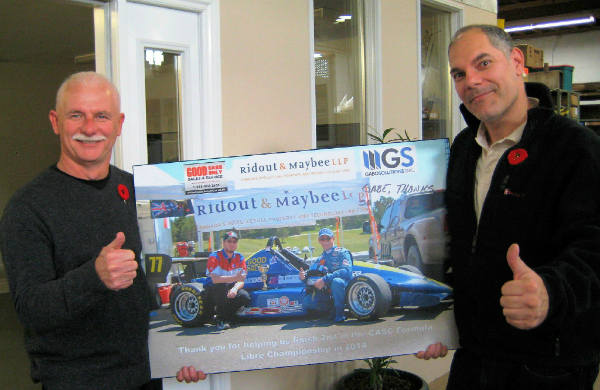 Comat Motorsports represents Millers Oils in Eastern Canada. 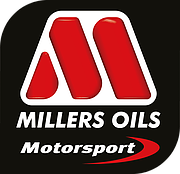 Miller Oils is one of the few companies offering a range of engine oils, gearbox oils and fuel treatments specifically formulated for owners of vintage and classic cars and motorcycles. Using the latest advances in lubrication technology allows Millers Oils to create lubricants that meet older viscosity specifications but also provide maximum protection which actively prolongs the life and performance of your treasured vehicle. Pegasus Auto Racing Supplies - Although inventory is important, the real key to providing superior customer service is our dedicated and highly experienced staff. Pegasus employees collectively represent more than 200 years of racing experience including years spent competing on the track, as competition driving instructors, as professional race mechanics, and in the racing parts supply business. Most importantly, we owe a debt of gratitude to you, our valued customer, for your continuing trust and confidence in our products and service. You are the reason we're here, ready to answer your questions and to ship the parts you need.